Lorikeets are very colorful, medium-sized parrots that are distinguished from other parrot species by their choice of nectar and pollen as primary food sources. A brush-like tongue allows them to sweep the nectar and pollen into their mouths. Their bright colors, energetic behavior, and clownish personalities make them a pleasure to be around. They can be very messy birds and have some special care requirements when kept as pets. Lorikeets are companion parrots that are native to Australia and Indonesia. 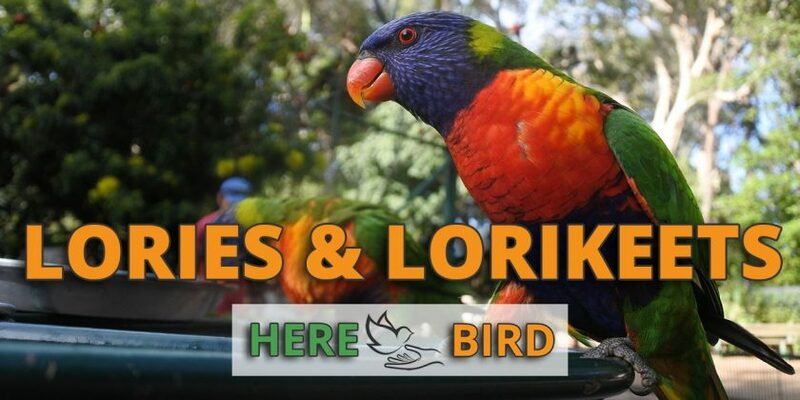 There are over 50 different species of lorikeet, but the two most often kept in captivity are the Rainbow Lorikeet, scientific name Trichoglossus moluccanus, and the Scaly-breasted Lorikeet or Trichoglossus chlorolepidotus. Scaly-breasted Lorikeets also are commonly called Yellow or Green Lorikeets. In the wild, lorikeets favor flowering trees such as Eucalyptus and are nomadic, strong flyers who live in small flocks that relocate often in search of food. Rainbow Lorikeets are one of the largest of the lorikeet species and measure 10 inches (26 cm) and weigh between 3.5 and 5.5 ounces (100-157 g). Scaly-breasted lorikeets are slight smaller, coming in at 9 inches (23 cm) and 2.6 to 3.3 ounces (75-95 g). The Rainbow Lorikeet is aptly named due to its bright blue, green, and orange coloration. Scaly-breasted birds are primarily green with yellow highlights. Though some behavioral differences between the genders are evidenced during the breeding season, DNA testing is the preferred and most reliable way of sexing these birds. What Do Lorikeets Look and Sound Like? Lorikeets are slim-bodied birds that have long tail-feathers. Their diet lends itself to high-energy, and they are very active birds that will make use of their complete cage space and relish time out of the cage to play and interact with their human companions. According to lafeber.com, they can be taught to talk but tend to favor a high-pitched, shrill call that may be disturbing to your neighbors if you live in an apartment. Below are some Rainbow Lorikeet’s in action. What Kind of Personality Does a Lorikeet Have? Lorikeets are generally fun-loving birds that love to play whether it is with their toys or their favorite human. They can form a strong bond with their owner and can be jealous and display some aggression when neglected. Lorikeets love to be petted, so this is always a welcome way of assuring them that they are not forgotten, even if they are not the current focus of your attention. These are not shy birds that will readily accept new individuals introduced into their lives and can be kept by families with children with no problems. They need plenty of time out of their cage for exercise but need to be supervised as they are intelligent and inquisitive and will get into trouble and destroy things if given the opportunity. As flock birds, lorikeets can be kept in pairs or groups, but should not be kept with other species as they may become aggressive toward them. Training these birds can be challenging since the normal treats used in training cannot be used with lorikeets. 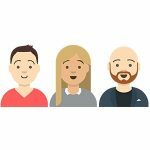 According to birdtricks.com, honey and flowers are alternatives that will help in your training efforts. They can be trained to do simple tricks and are intelligent birds that are masters at learning how to escape from their cages. How Do I Care for a Lorikeet? Lorikeets are best kept at household temperatures of between 70-80°F (21-27°C). Due to their liquid diet, the birds generate a prodigious amount of liquid waste, which they tend to shoot out behind them, often exceeding the limits of their cage. 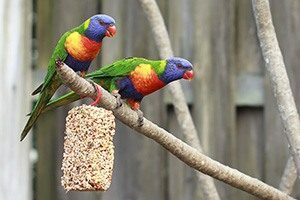 For this reason, an outdoor or indoor aviary with a cement floor and a drain is the optimal solution for housing lorikeets. Below is a video of a homemade aviary for Rainbow Lorikeets. If you are using a traditional cage, the minimum size for a single lorikeet is 48Lx24Wx36H inches (123Lx61Wx91H cm), according to beautyofbirds.com. Length is more important than height, and you should go for the largest cage possible, sticking to 3/4 inch (1.9 cm) bar spacing. The location of your cage needs to be carefully considered for the waste production reasons listed above. Lorikeets can quickly ruin a carpet or wall if placed incorrectly. Plenty of toys should be provided as lorikeets need the mental and physical stimulation. They enjoy puzzle toys and toys that they can chew and destroy. Include plenty of perches and swings in the enclosure. A lorikeet’s diet is unlike that of any other parrot and can pose some challenges for a new bird keeper, or one that is pressed for time. Their diet in captivity will consist of commercial or homemade liquid nectar. This nectar needs to be replaced several times daily and in warm weather every four hours. Spoiled nectar is one of the main causes of premature death in captive lorikeets. In addition to nectar, fruits and flowers can supplement your bird’s diet. They also require plenty of fresh water, as the nectar is not sufficient for their hydration. They are not prone to overgrown beaks, and the inclusion of a cement perch should help control their nail growth. Baths should be offered daily, and during their yearly molt, a bath will help your bird feel better. Breeding is possible year round, and while incubating the eggs, the female will be fed by the male lorikeet. A clutch size is between 1 to 3 eggs. A well-cared-for lorikeet can live for over 20 years. Lorikeets are generally healthy birds if given the correct diet. They can be subject to kidney disease and Lorikeet Paralysis Syndrome which affects their legs and feet. 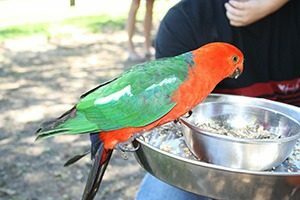 Expect to pay at around $400 to $700 for a hand-reared rainbow lorikeet which is the most commonly kept pet species of this bird. Other mutations and lorikeet subspeices can be priced at a higher amount. Swainsons Lories have a higher price tag and you’re likely to be charged for over $1000 to buy one. When buying your lorikeet, age will be a factor is how much you are going to pay. The most expensive time to buy your lorikeet will be after it has been weaned and is now a young adult. These lories will be strong and best suited to move into a new environment. On the otherhand older lorikeets will be cheaper but harder to train and younger baby lories will also be more affordable but will require a lot of time and energy to look after until they have matured into an adult. Since lorikeets are native to Australia, they will be much for affordable in this country whereas in the USA and Europe this prices will be more similar to price tag listed above. A roomy cage and a steady supply of toys to chew will keep these birds entertained. The lorikeets unique diet means that they require you to purchase a unique nectar mix since normal bird food will not be sufficient. This birds provide a lot of waste because of this diet and so be prepared to purchase a fair amount of bird cage liners and cleaning supplies on a frequent basis. Are Lorikeets Right for Me? You need to have the space and time to take care of lorikeets. Their propensity for creating a mess makes them challenging to house in certain situations. Keeping their nectar fresh and replenished is a lifetime commitment that cannot be neglected without putting your bird’s health at risk. If you can fulfill their needs, lorikeets may make a great addition to your home.